“Tiny Houses” Photo courtesy of Low Income Housing Institute. Throughout Seattle and the greater Puget Sound region, nearly 4,000 previously homeless or low-income individuals receive a new lease on life through being safely housed. The Seattle-based organization responsible for housing families, seniors, veterans, young adults, and those with disabilities is the Low Income Housing Institute. With the help of a committed staff and hundreds of volunteers, the organization provides “a crisis response to homelessness,” explained Executive Director Sharon Lee. 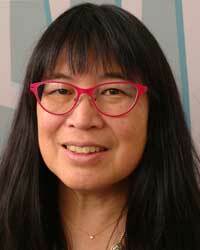 “Sharon Lee, Executive Director of Low Income Housing Institute” Photo courtesy of Low Income Housing Institute. Originally founded in 1991, the Low Income Housing Institute was designed by the local government to curb the unsheltered homeless population. In partnership with the Catholic Community Services, the organization renovated a hotel and created 57 units for residents to self-manage. Today, as the housing crisis leaves fewer options for low income individuals and families, the Low Income Housing Institute is responsible for creating 300 Tiny Houses and 2,300 transitional and permanent housing units to prevent people from living in tents, boxes, or on the streets. “We’re hoping to make an impact by making sure that homeless people do not continue to die from exposure and violence because they are on the street, unsheltered,” stated Lee. Each house provides a safe place for residents to stay and keep their personal belongings, and the organization has been recognized for helping to decrease the murder rate of individuals sleeping on the streets. Compared to shelters where individuals are often separated from their loved ones, the Low Income Housing Institute provides various housing options to ensure all families feel welcomed and stay united. The Tiny Houses have especially given many the opportunity to restart their lives, explained Lee. Upon learning her house would be equip with heat, one resident cried, stating she did not have access to heat in over 4 years. Another couple were able to receive custody of their child upon moving into their own Tiny House. Stories and testaments like these inspire Lee and the rest of her staff and volunteers to permanently house individuals who are often neglected by their societies. “We’re serving people that the market doesn’t serve,” she explained. 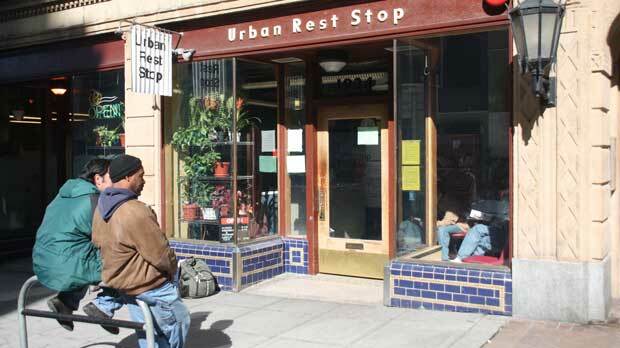 “Urban Rest Stop” Photo courtesy of Low Income Housing Institute. In addition to its housing projects, the organization maintains 3 urban rest stops across the city. The hygiene areas allow individuals to shower and complete their laundry and are especially beneficial for homeless workers as they maintain employment. When individuals visit the rest stops, they are also informed of the various education and employment services offered by the Low Income Housing Institute. While the organization currently has 3 buildings under construction with 3 more being built in the winter, Lee and her team continue to increase affordable housing options and services despite federal budget cuts. Lee, who holds a master’s degree in architecture and city planning, aims to attract the attention of lawmakers in order to gather more funds and stop the wave of gentrification that is impacting much of Seattle. “We put a very important emphasis on advocacy,” she stated. 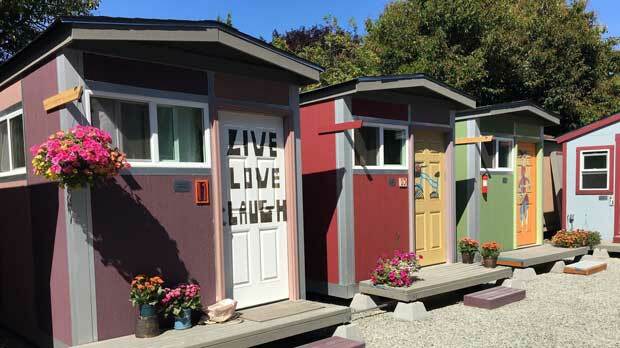 “Tiny Homes in Seattle” Photo courtesy of Low Income Housing Institute. 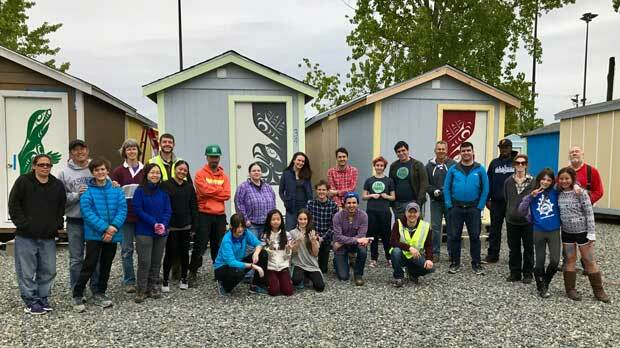 Through building fully furnished Tiny Houses and housing units and maintaining its urban rest stops, Lee hopes their services and programs can be implemented in other cities. Nonetheless, the Low Income Housing Institute continues to increase the scope of their projects in order to “keep people safe” and eliminate homelessness across America. Learn more about the Low Income Housing Institute and Donate.